Differing concrete qualities require uncompromising mixing (frost protection, average density, cement proportion...). 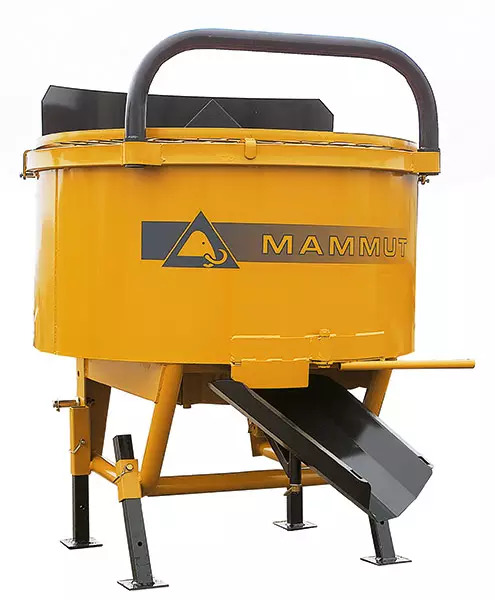 All MAMMUT developments have quality, sturdiness and durability in practical use as their main objectives. With our mixers this starts at the agitator, with spring-mounted mixing tines and adjustable stirring paddles. They guarantee the best mixing and are "yielding" against strong resistance. 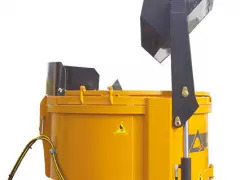 This quality philosophy continues from the robust oil bath gearbox via practical attachment points, the sack opener and stand legs to the variety of types for individual requirements. Spring-mounted mixing tines and adjustable paddles guarantee the best mixing results with little wear and tear. The robust oil bath gearbox with a favourable gearing-ratio runs smoothly and without problem even under load. The 180° pivoting discharge chute is also extendable with a quick release fastener. 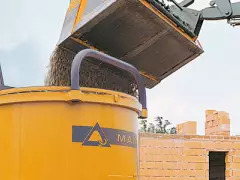 Hence you can concrete a good piece of your construction without having to relocate your tractor or stationary mixer. The mounting points are adjustable, enabling you to connect your device to any tractor. 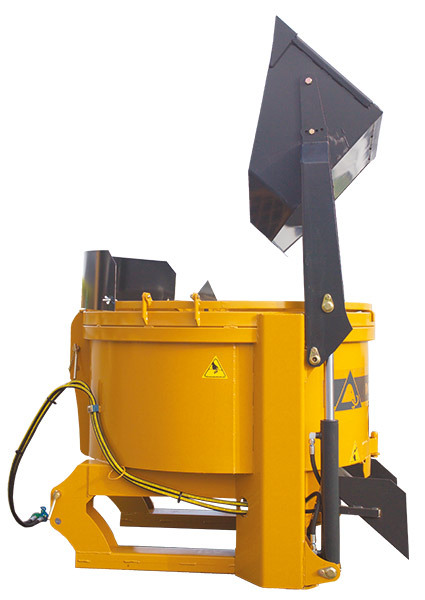 When used with lift-restricted tractors, simply place the mixer on its stand legs during the concreting.